Donate Now! - U.S. Vets Inc. 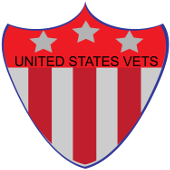 Welcome to the United States Vets Inc. Support Page! You can show your support for our military veterans with a donation to any of our programs. The organization relies on the generous support of the community and sponsors as we work tirelessly to provide the resources, referrals, and life sustaining provisions and well as offering the new Veterans Education Fund. You can choose a program to support, a donation level and how often you would like to apply the funds. As new campaigns and events are developed, you can follow how your donation is being applied and how it is making a positive impact in the life of a veteran. You can change the life of a hero on the homefront. To make a donation, please do so via PayPal here.